Welders use specialized equipment to cut or connect metal parts. Josh, the welder featured in the video, is an entry-level welder. How Do I Become A Welder? Completing a trade school program or a two-year college program in welding technology is likely required to obtain this position. Some larger organizations provide their own training programs to teach welding to new employees. 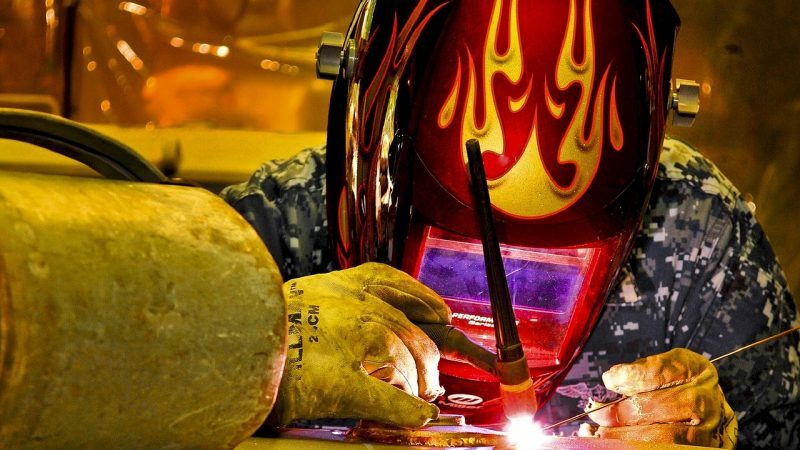 What is the Average Salary For A Welder? What Courses Should I Take To Become A Welder? What Is The Work Environment For A Welder? Welders may work outdoors, often in inclement weather, or indoors, sometimes in a confined area. They may work on a scaffold, high off the ground, and they occasionally must lift heavy objects and work in awkward positions. Although most work full time, overtime is common. What Is The Future Outlook For A Welder? What Degree Should I Consider If I Want To Be A Welder?